Originally from Sonoma, Dr. Newman graduated in 2005 from Atlantic Veterinary College at the University of Prince Edward Island in Canada. She has worked at SNAH since 2011 and she now lives in Sonoma with her family, including CoCo, a dog, and Mr. Switters, a three-legged cat. Dr. Newman especially likes working with geriatric pets and challenging dermatology cases. Dr. Dahlman is a graduate of U.C. Davis Veterinary School and a Marin native. He has been at South Novato Animal Hospital since 2004. 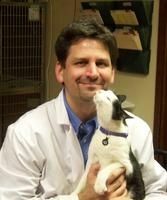 Dr. Dahlman's areas of interest include Feline Medicine, Internal Medicine, and Diagnostic Imaging. Dr. Sutton is a graduate of Atlantic Veterinary College at the University of Prince Edward Island. 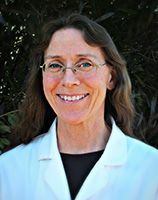 Dr. Sutton's interests include Preventative Medicine, Geriatric Medicine and Rehabilitation Therapy.